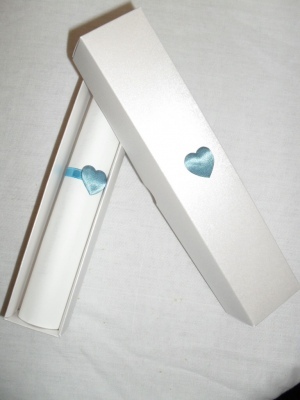 A beautiful composition scroll wedding invitation with a silky touch, all your wedding details are printed onto A4 paper with a turquoise heart placed at the bottom, then rolled and secured with a turquoise ribbon with a turquoise heart, then placed into a matching box which has been finished off with a turquoise heart. 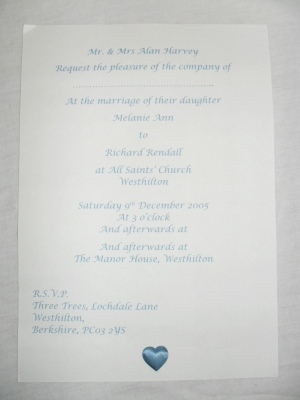 This wedding invitation is also available as a evening invitation, engagement invitation or anniversary invitation. A sample is available.